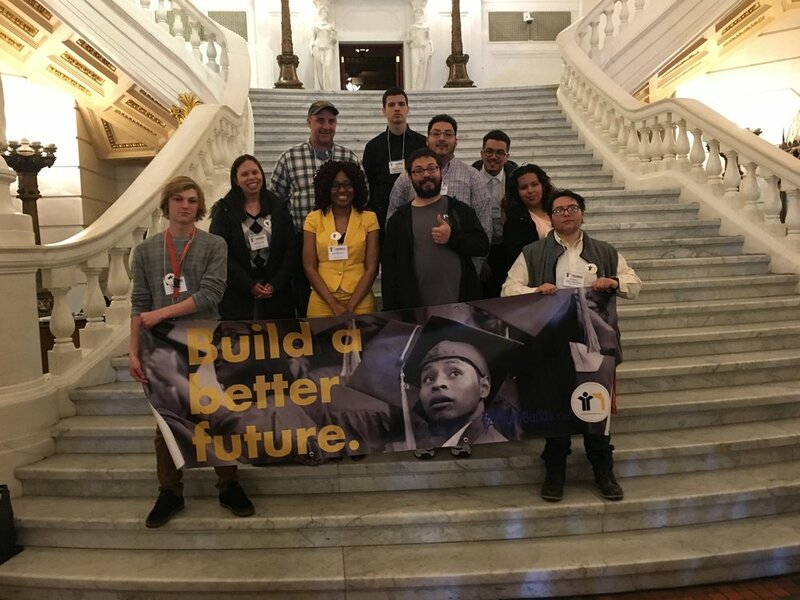 On April 18, 2018, the YouthBuild Pennsylvania Coalition gathered in Harrisburg for its inaugural Leadership Day. Six programs, some one hundred students and twenty staff, turned out for a day of action. 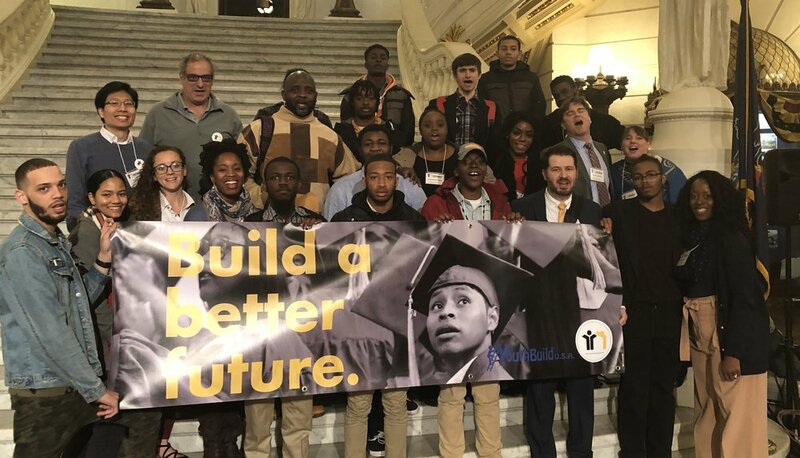 The agenda was twofold: to awaken YouthBuild students to their place in a movement that is lighting up across the state and across the country, and to show state legislators the critical role opportunity youth play in the development of their districts. 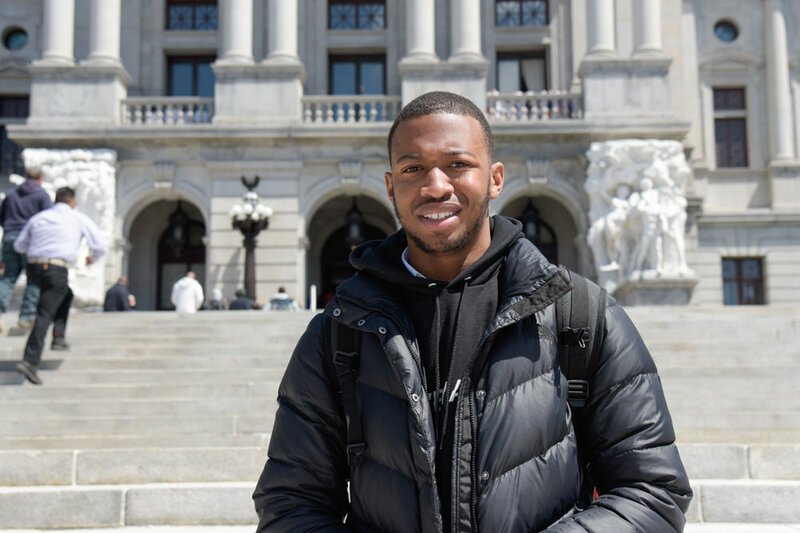 Harrisburg may be the seat of power, but you are the power. My name is Marcos Colon from YouthBuild Reading. 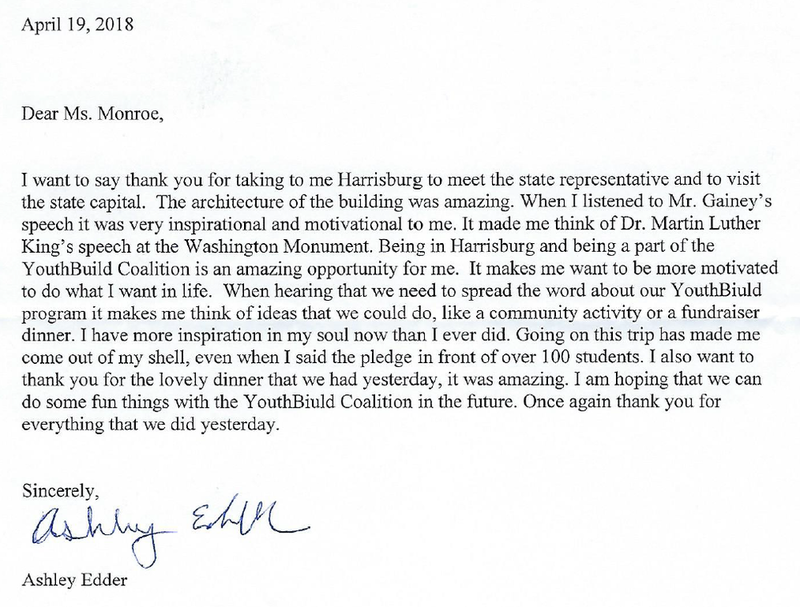 I visited Harrisburg the 18th of April 2018 with my fellow peers and staff to join up with the YouthBuild Coalition. I previously wasn’t aware we even had YouthBuild programs outside of Reading, so getting to see these larger groups and their motivation made me more motivated for what was to come. We got to see the directors of each YouthBuild speak (including our own) and even met some of them personally during lunchtime. I had the privilege of guiding the YouthBuild Reading pledge as I memorized it and was asked to go up and do it. Later on I was able to meet Chuck, a person who manages relationships with people who give money to the program and other YouthBuild leaders. We visited the Capitol Building after lunch, which was absolutely huge and beautiful to look at. State representatives came up to motivate us along with YouthBuild speakers. I personally thought Edward Gainey had the best speech out of all of them. I was proud to see one of our more shy students come up for an award during our visit. We explored the rest of the building and went to meet our designated state representative for my group, but sadly were unable to meet him. We did talk and learn more about the political processes currently ongoing for our representative through his secretary and passed the message for him to visit us. Overall I enjoyed the visit and felt it was necessary for us, and sincerely hope we get another trip eventually. On April 18, 2018 a group of students made history. 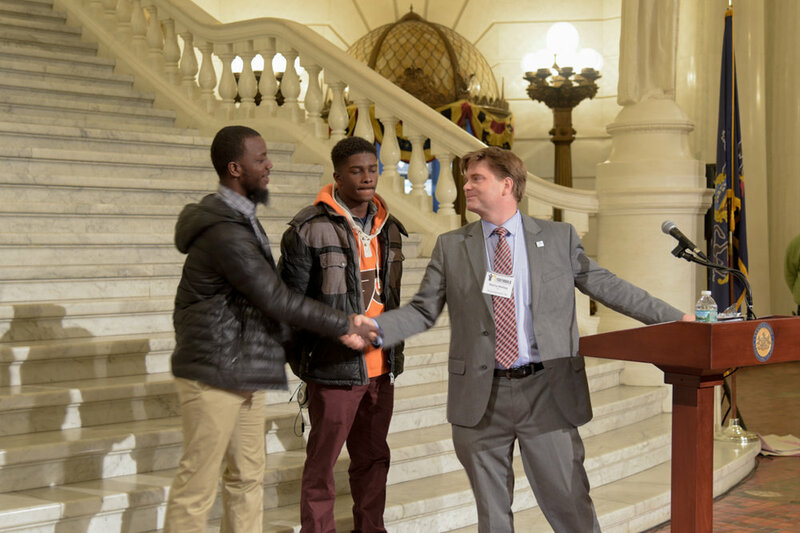 On this day six YouthBuilds from all over Pennsylvania came together to build the Pennsylvania YouthBuild Coalition. 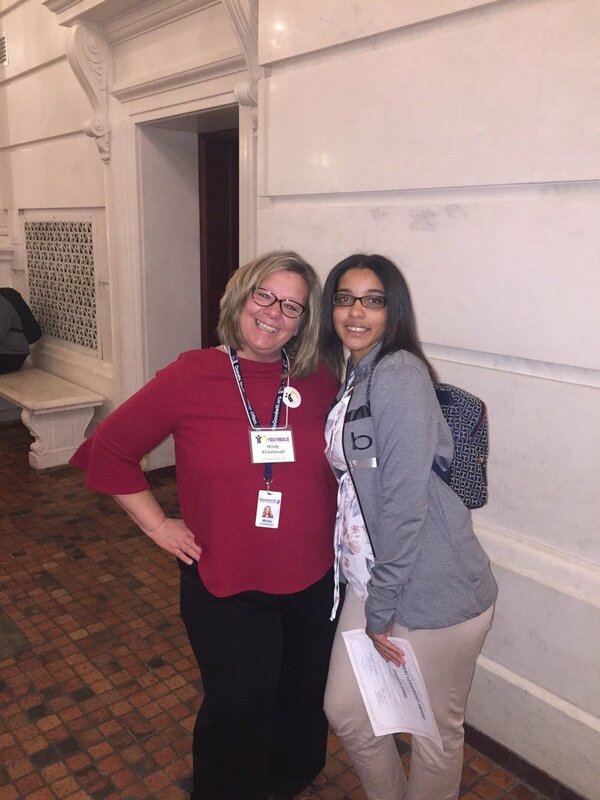 This event was the first of its kind, meant to build a stronger connection between all PA YouthBuilds. YB Philly, YB York (who beat YB Philly in the basketball tournament), YB Allentown, YB Reading, YB Johnstown, and YB Pittsburgh were the first schools to make up the coalition. An alumni of YB York was the master of ceremonies. Jamiel Alexander lit up the room with his energy. It was a very enlightening speech as he told his story from rags to riches. Joann Monroe, the president of the coalition, shone and inspired with her hopes and dreams for the coalition. It was a star-studded event as representatives Ed Gainey, Carol Hill-Evans, and Jared Solomon came to meet those spectacular students. All in all the event was great. Everyone involved in planning the event did a good job. It certainly felt solid, solid!